Mr Hole's parents were Samuel (Mercantile Clerk) and Clara (née Faulkner, younger sister of Ellen, mother of Hamilton Smith). He was born in the same neighbourhood as Hamilton Smith - Castelnau Villas, Barnes. These notes are extracts from Mr. John Blackburn's address at the funeral service for Mr Hole in the Chiltern Road Hall, Sutton, Thursday, 30th January 1964. Frank Binford Hole was a man of God. His long life was marked by faithfulness, devotion, patience and hope. His memory is best honoured by remembering the massive pillars of the faith in which he laboured, lived and died. The conspicuous feature of his life was that he lived and laboured in the Christian Faith, and was constrained to do so by personal experience of the love of Christ. He had every opportunity to seek the ordinary satisfactions of life in a garish world. In possessions and intellect he was fitted to achieve such satisfaction: but early in life at the age of sixteen, he was met by the Stranger of Galilee and from that moment he "endured as seeing Him who is invisible". After King's School, (the building off the Strand is now King's College in the University of London) and a short period in the family business, he entered the banking profession. While still, however, at an early age, he gave up what is usually called secular employment and became a full-time worker in the service of Christ. His gifts from God manifested themselves in three different ways: firstly as evangelist; secondly as teacher; and lastly as publisher. In younger days he was closely associated with Arthur Cutting in evangelistic work. Together they travelled the country conducting tent missions, often in rural areas; and many persons heard and received the Word of life through them. Mr. Hole also preached the Gospel in the West Indies and in South Africa, and indeed visited several other parts of the world in the course of his ministry. Most knew him best as a teacher, that is as a minister instructing Christians in Bible Truth. Both as a speaker and as a writer, he possessed a wonderful gift of teaching through illustration. To illustrate the words "all joy and peace in believing", he described a party which attempted the ascent of Vesuvius. On their return they were asked whether they had enjoyed the experience. "Enjoyed it!" Mr. Hole represented the climbers as replying, "Enjoyed it! The wretched mountain rumbled and spat fire! We were so terrified that we couldn't enjoy anything". They had no joy because they had no peace. It is not perhaps well known that his books on the foundation of the faith came into the hands of Dr. Billy Graham, who not only specially commended them to his team, but also sent an emissary to Little Britain to greet the author in person. Lastly, as a publisher, his work has contributed to the spread of Christian Truth to every corner of the earth. In these labours Miss F.M. Aves was his devoted helper for forty-five years. He received a ceaseless stream of letters witnessing to the help received wherever English is spoken through the publications emanating from his unpretentious premises in Little Britain. During these years his fellow-writers were H.P. Barker, J.T. 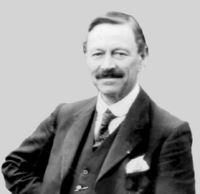 Mawson, A.J. Pollock and Hamilton Smith. F.B. Hole was the last surviving member of this devoted band. The Day will declare it - what God enabled him to achieve. He wrote several valuable books, "The Great Salvation" and another one equally valuable "Foundations of the Faith". He also edited and contributed many articles to a small periodical called "Edification" and for many years "Scripture Truth" from which a complete New Testament commentary has been extracted and printed. These and many other articles are reproduced here. He was entirely careless of human estimation of his work. To him the words of Churchill about General Gordon aptly apply. Describing the statue of Gordon which at that time stood in Trafalgar Square Churchill wrote "Amid the noise of the traffic as formerly that of battle the famous General stands and inattentive to the clamour of men inquired what is acceptable to God". It would be entirely in the spirit of such a man if he thought at all of the eminence of his labours to break in with his "non nobis Domine" — "not unto us O Lord not unto us but unto Thy Name give glory for His mercy and for Thy truth's sake" (Psalm 115:1). F.B. Hole lived and laboured in the certainty of the resurrection life, and in the promise of the vision of perfect blessedness because he believed in a living Redeemer. During the last conversation Mr.Blackburn had with him, Mr. Hole said "I have had at times to occupy myself with the subtleties of the Faith but now that I am very old I have come back to simple things." "Some boys were playing marbles when along came a bully who stole the marbles and put them in his pocket and ran off. The boys chased him and eventually overpowered him and made him restore their marbles to them. He had appropriated them but they did not become part of him. But a boy is about to eat an apple and another boy comes and steals it and runs off. The boy follows him and catches him but there was nothing left but the core. The apple was now assimilated into the thief's system".